The 47B Loftid is based in the northern part of Tallinn near the sea, in the promising Volta quarter on the border of Kalamaja. 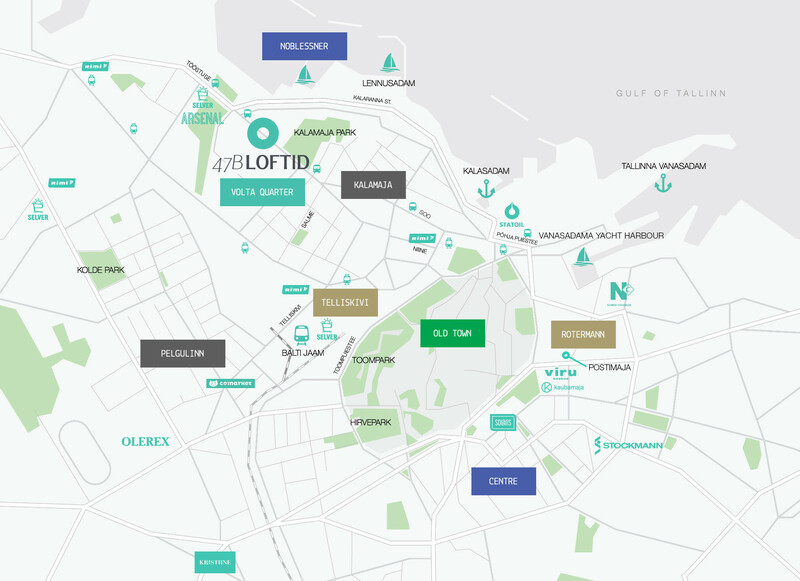 Right by the Noblessner yacht harbour and future cultural establishments and restaurants - in the middle of Tallinn's coolest district of the near future! Volta quarter - a cool and unique place for a home! The historical industrial quarter is to become an awesome residential environment on par with New York. The future quarter will be architecturally unique, have many trees and be spaciously planned. A kindergarten and sports field are also present, as well as plentiful parking space for both bicycles and cars. A comfortable location that benefits from the nearness of the sea, the centre’s attraction and magnificent views of both the Old Town and the sea. The new Arsenal shopping center will be opened right next to the Volta quarter already this October, where you’ll find shops, cafes, restaurants and of course a Selver. The end point of the Kalaranna Street extension was recently completed nearby, connecting Põhja-Tallinn conveniently with the city center, diverting traffic away from Tööstuse Street. 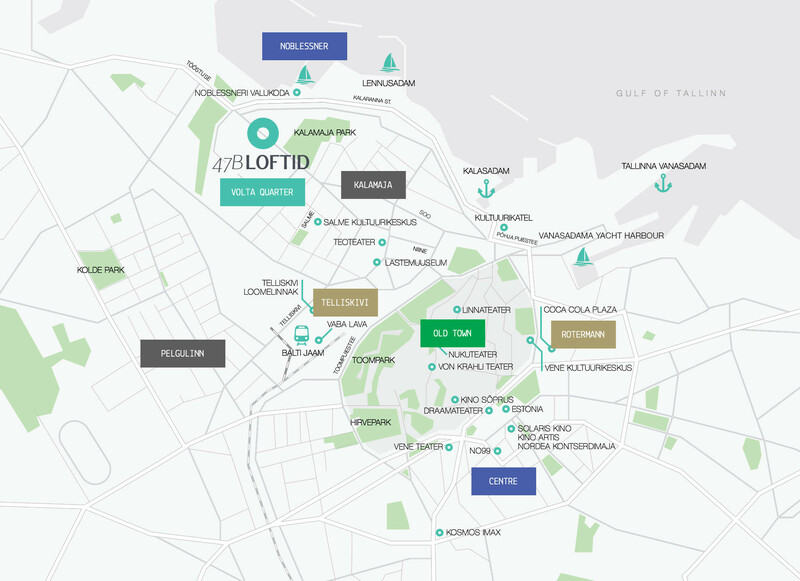 A perfect win-win situation for 47B Loftid. A calm oasis in the heart of Kalamaja is just across the street. There's plenty of room in the freshly built park – Sunday picnics, going for a light jog, a children's playground. And the sea is merely a stone's throw away. A perfect harmony between greenery and spaciousness.